The Bank of Japan is cranking up its bond-buying just as the Federal Reserve winds down. But even the Japanese central bank is becoming more sceptical of quantitative easing. If 2 percent inflation proves elusive, the BOJ will need even bolder policies – or to throw in the towel. 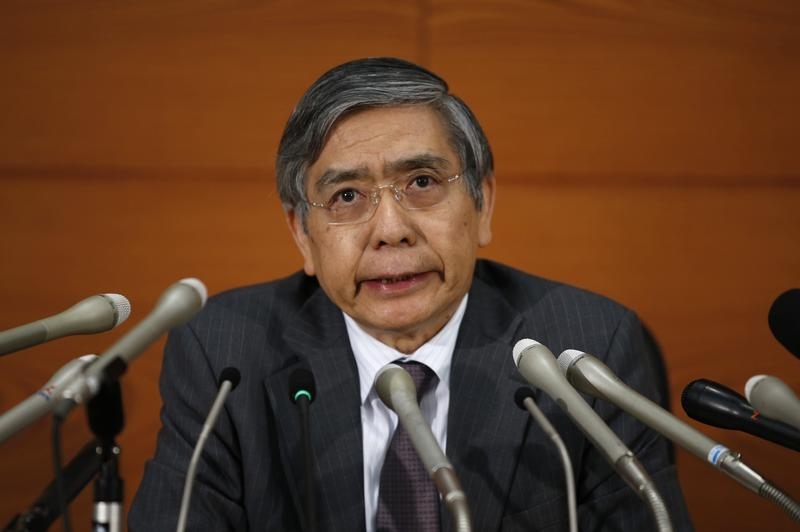 Bank of Japan Governor Haruhiko Kuroda speaks during a news conference at the BOJ headquarters in Tokyo April 30, 2014. The Bank of Japan’s policy board decided in a 5-4 vote on Oct. 31 to expand the monetary base by 80 trillion yen ($723 billion) a year, compared with its previous pledge of a 60-70 trillion yen annual increase. To do this, the central bank will expand its holdings of Japanese government bonds (JGBs) by 80 trillion yen and exchange-traded funds by 3 trillion yen a year. The previous goals were 50 trillion yen and 1 trillion yen, respectively. Additionally, the Bank of Japan will add 90 billion yen of Japan real estate investment trust (J-REIT) securities annually to its stockpile. The BOJ also said that the average remaining maturity of its JGB purchases will rise to 7-10 years. In April 2013, the central bank had increased the maturity from less than three years to about seven years. Separately, Japan’s $1.2-trillion Government Pension Investment Fund will boost investment in domestic equities to 25 percent, while reducing its holding of Japanese government debt to about 40 percent, Reuters reported, adding that the government is expected to approve the changes on Oct. 31.